Mathematica 6 or 7 must be installed on your computer (not included). folder on your computer's hard drive. 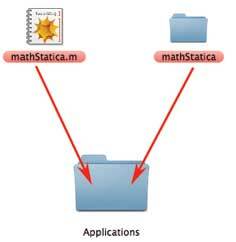 How do I find my .../ Mathematica / Applications / folder? Can I install anywhere else? Only install into 1 location (not both). A new password is needed for mathStatica 2. Your password file will arrive by email. 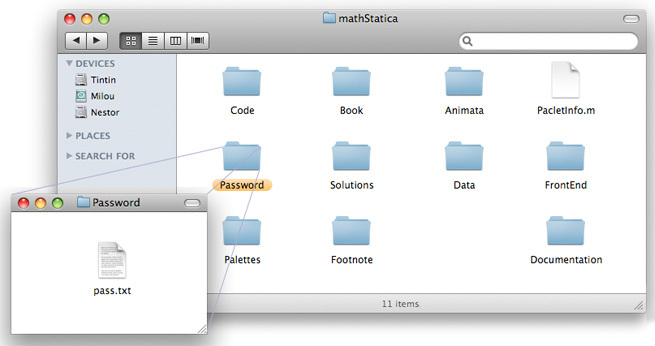 Drag your password file pass.txt into your mathStatica/Password folder. [ If Mathematica is already running, you will need to first quit Mathematica and then start it up again. 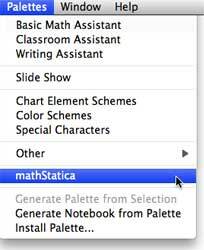 Start up Mathematica 6 or 7. To navigate: A single click on any heading opens up that section!